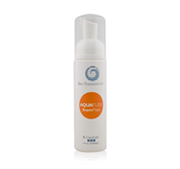 AQUAFUSE foamPeel is a very exciting skin care innovation. The rich, cosmetically elegant foaming product is formulated with AHA and BHA for exfoliation. AQUAFUSE foamPeel can be used during the first pass of a wet/dry microdermabrasion service, alone as a peel in a professional service, or at home. Available in 210ml. 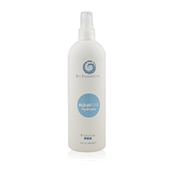 AQUAFUSE hydrate solution contains a combination peptides such as palmitoyl oligopeptide, palmitoyl tetrapeptide-7 for cell renewal and reducing inflammation. It can be used with wet/dry microdermabrasion as a target product for hydration. Can be used for home care as additional support for a light hydration and skin softening. Available in 480ml. 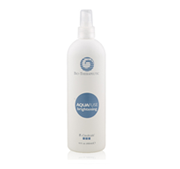 AQUAFUSE brightening solution contains a combination of lightening agents such as ascorbyl glucoside, and niacinamide. It can be used with wet/dry microdermabrasion as a target product, and can be used for home care as additional support for reducing darker areas. Available in 480ml. AQUAFUSE clearing solution contains salicylic acid to act as a keratolytic. Can be used with wet/dry microdermabrasion to act as target product for reducing oil and blemishes. Can be used for home care as additional support for blemish and oil reduction. Available in 480ml.